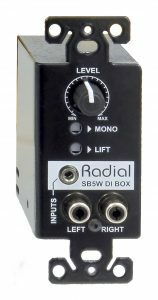 The StageBug SB5W is a passive stereo direct box made to fit in a standard North American single-gang electrical wall plate, providing AV integrators with an effective means of connecting an unbalanced audio source such as a laptop, smartphone, or tablet to a balanced audio system. 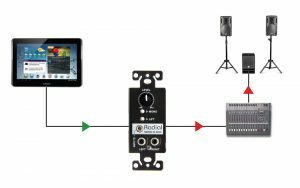 The StageBug SB5W provides a permanently mounted interface to connect consumer audio devices with installed pro audio systems. Front panel 3.5mm TRS and RCA connectors are provided for any stereo source and a fully variable level control makes volume adjustments easy. 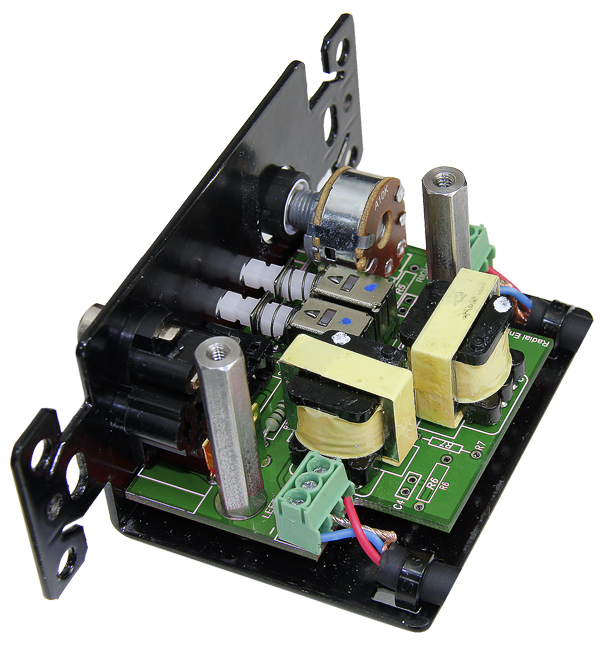 Inside, the SB5W employs dual transformers that convert the inputs to a low impedance balanced signal, and eliminate hum and buzz caused by ground loops. 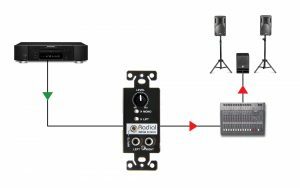 Set & forget ground lift and mono switches are also included to further reduce noise and to sum the left and right channels together if needed. 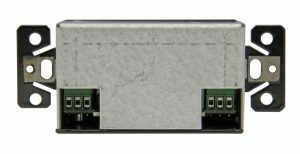 The outputs of the SB5W feature screw terminals with tie down points for tie-wraps to make installation fast, efficient and permanent. 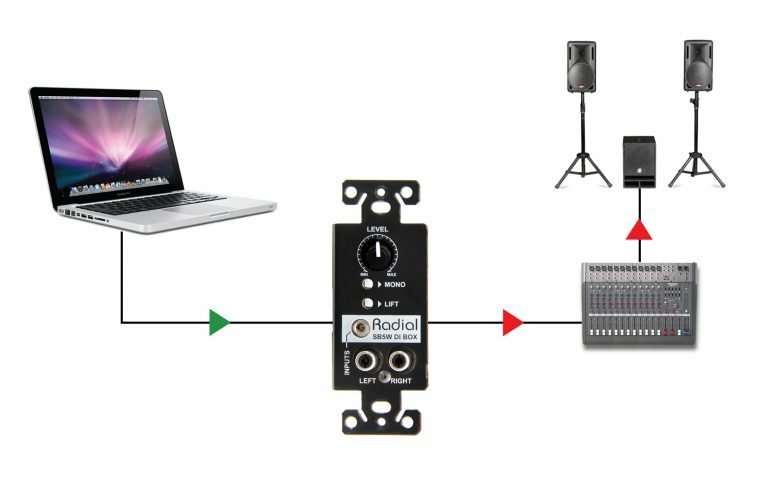 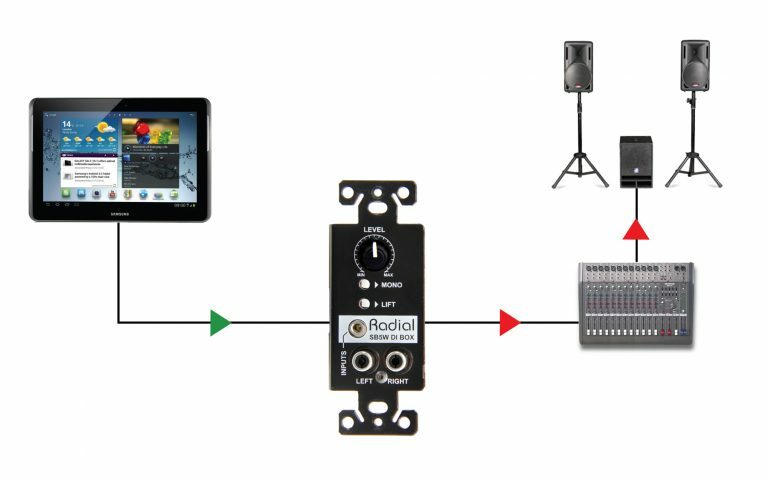 Connect the mini TRS audio jack from your laptop directly to the 3.5mm input on the SB5W and it automatically converts the unbalanced signal to a lo-Z balanced line to feed the PA system up to 100 meters away. No need to convert from digital to analog! Simply connect the headphone out from your tablet or cell phone to the SB5W and let it do the work. 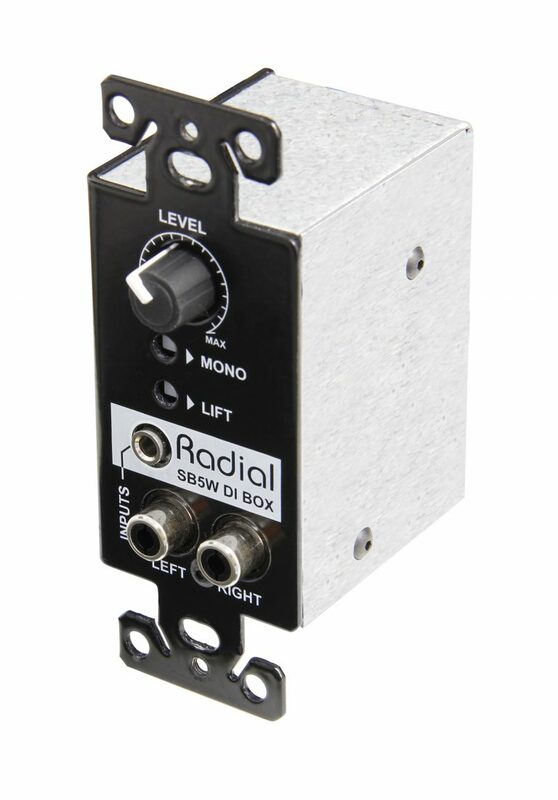 Adjust the volume using the convenient front panel level control and sum to mono if need be.